Sony Xperia Z Ultra "World's Biggest Phone" is meant to be a Phablet - with a 6.44-inch 1080p reality display and also "World's Slimmest Phone" with just at 6.5mm thick but handset is heaver at 212 grams. The Xperia Z Ultra is water-resistant and dust-resistant (IP55 and IP58) like the 5-Inch Xperia Z. Most different feature from other competitor mobiles is the battery-saving mode known as "Stamina mode" same feature as on Xperia Z.
Xperia Z Ultra comes with latest version of Jelly Bean i.e. Android 4.2 on Qualcomm's quad-core Snapdragon 800 processor clocked speed at 2.2GHz. It has 8MP rear camera with latest Sony's Exmor RS mobile sensor, 4G-LTE, NFC, 2GB of RAM, 16GB of internal storage and expand storage up to 64GB with micro SD card slot. 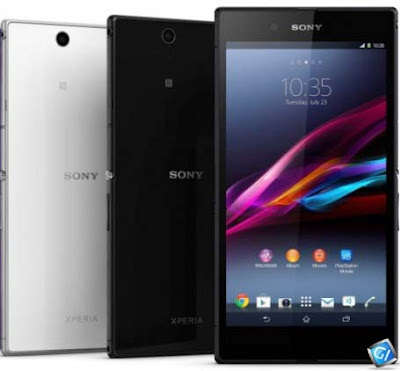 Earlier, Sony's 5-Inch Xperia Z has a capacity of 2,330 mAh which is poor battery life of around four to five hours of use, But now Xperia Z Ultra upgrades the battery capacity to 3,000 mAh as display is upgraded. The Xperia Z Ultra will be available globally in the 3rd quarter of this year and will come in three color i.e. white, black and purple. Sony doesn't have any price tag yet.